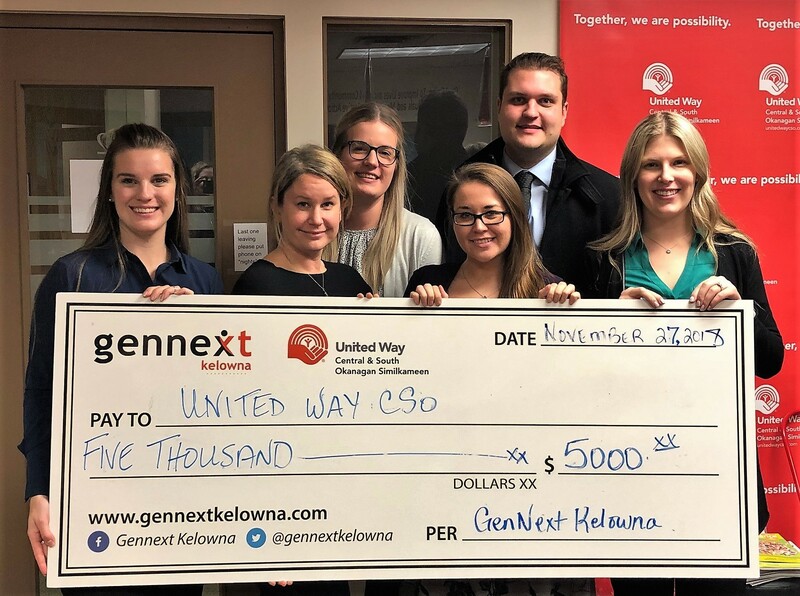 GenNext Kelowna Board members proudly present United Way CSO with their annual contribution to the Youth Initiative Grants. Shown above: Carly Gilmore, Heather McColl, Mercedes Marleau, Nola Lagace, Mitch Larue, and Kayla Caruana. 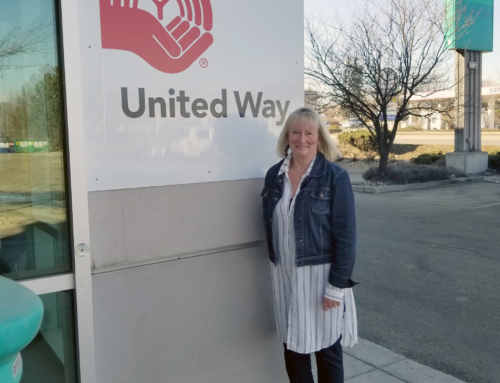 January 15, 2019 – United Way CSO, GenNext Kelowna and the Central Okanagan Foundation for Youth (COFFY) have partnered again this year to offer Youth Initiative Grants. Youth who are improving their communities have a chance to receive project funding of up to $2,000. 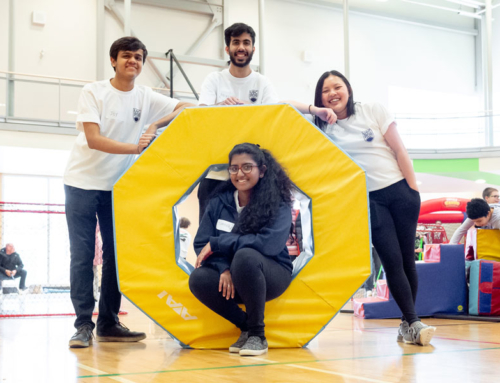 These grants are available to young people up to age 25 who are partnering with an organization to create positive change in their local community. The partner organization can be a school, church or charity and youth must reside in either the Central or South Okanagan Similkameen in order to apply. Applications are available until the March 1.2019 deadline. “The Youth Initiative Grants enable youth to feel their voice is valued and that they have an impact. 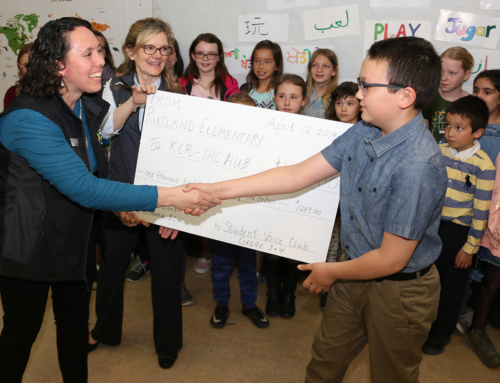 Our communities benefit from the fresh perspective, optimism, and enthusiasm of youth generated projects” says Cheryl Miller, Director of Grants & Community Initiatives with the Central Okanagan Foundation. 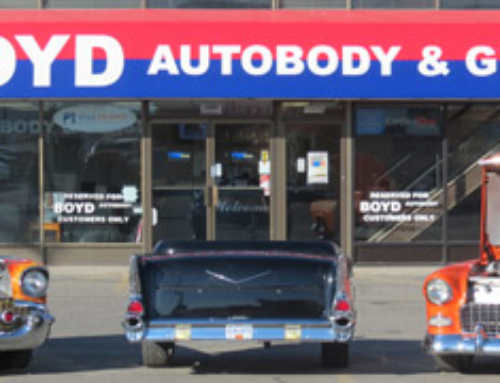 Application packages are available at Youth Initiative Grants or by calling Jude Brunt, Community Investment Manager at the United Way office at 250-860-2356.